How to start working with data? 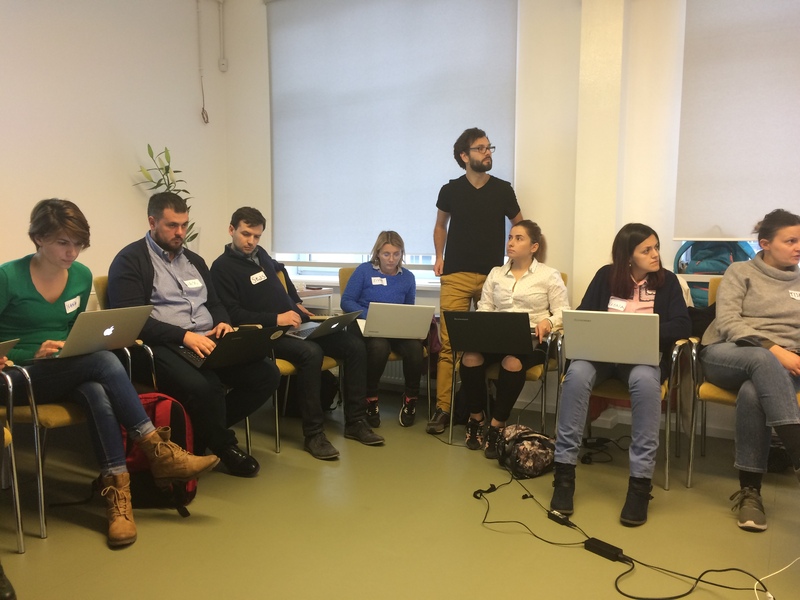 During TransparenCEE workshop our trainers – Anna Kuliberda and Grigoriy Sorochan – guided the participants through the stages of preparing and analyzing data sets. 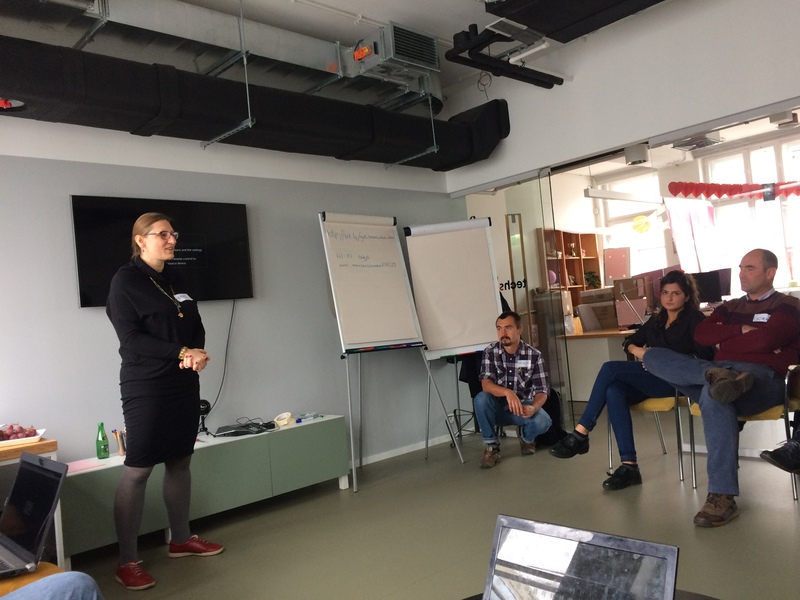 Training „Working with data for beginners” was organized on 9-10th October in TechSoup Europe office in Warsaw. On the first day of a workshop 15 participants got to know each other by analyzing spreadsheets which they were asked to fill before the workshop. 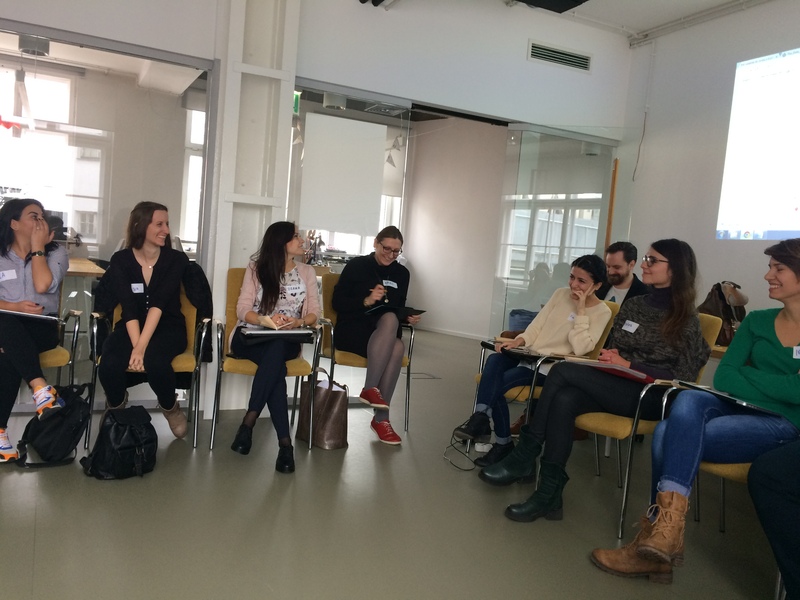 The purpose of this activity was educational – questions included in the spreadsheet, as well as participants’ answers, ignited the discussion about methods of collecting personal data. The participants noted that questions were not specific enough and option „I don’t want to disclose this” was not available when organizers asked about sensitive data. After the discussion trainers asked participants to put different stages of „data life-cycle” in a right order. Then they discussed some of a stages and together drew conclusions about the importance of cleaning the data (it’s important for organizations’ credibility and it’s also most time-consuming) and storing it (the decision whether the data should be archived, deleted or published is crucial for its security). 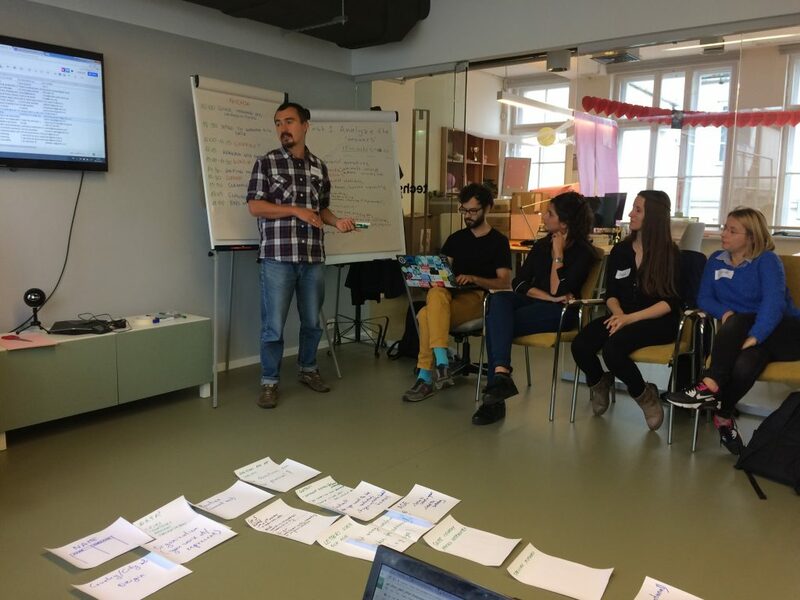 Later the participants were given a real-life examples of open data/anti-corruption tasks and asked to come up with the ideas of how to get the data and make a list of all possible sources of public information. 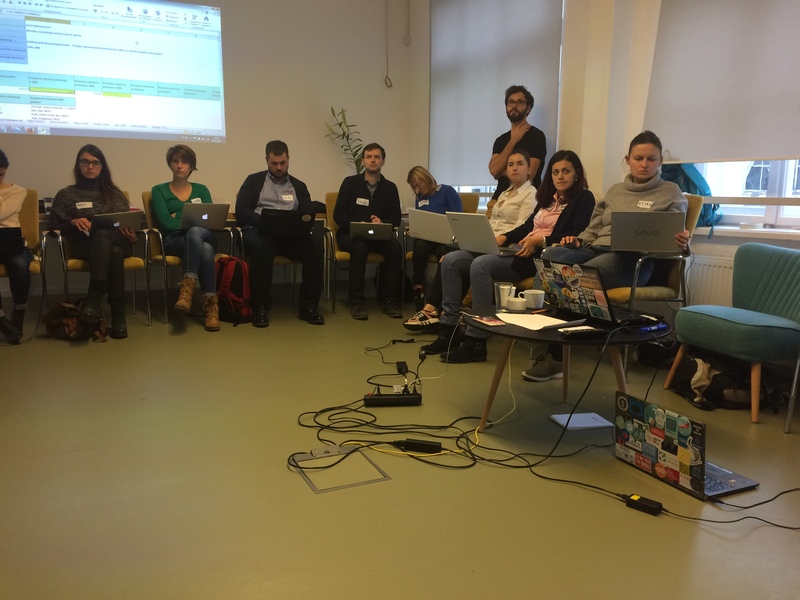 On the second day of the workshop participants focused on data cleaning exercise. 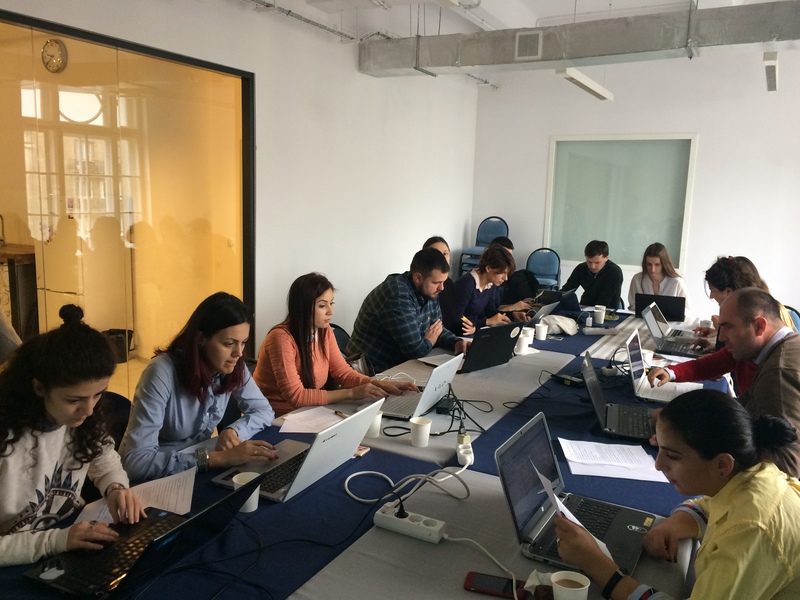 With the help from Grigoriy Sorochan they learnt about most useful Excel functions and explored Open Refine. At the end of a day participants shared their own experiences and problems which they encounter in their daily work. 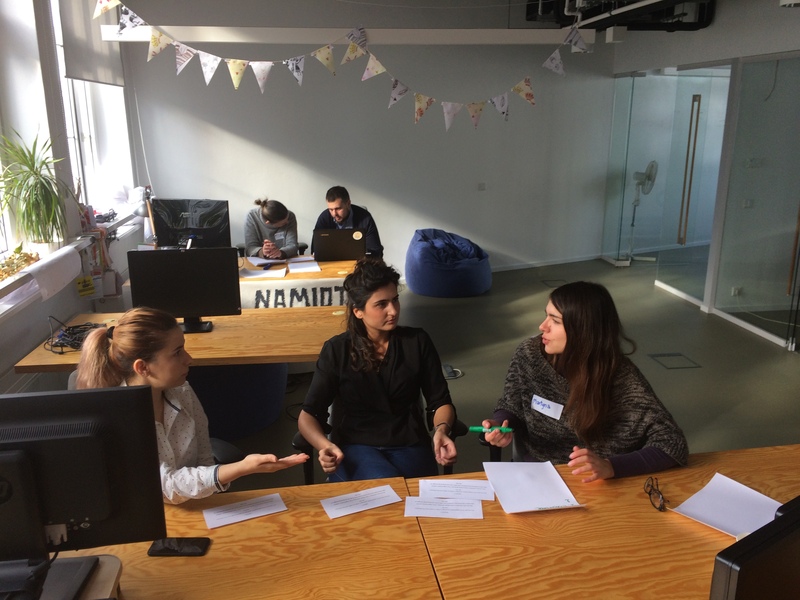 One of the participants, Tamari Lagurashvili from Georgia (Europe Foundation), told us that the workshop gave participants opportunity to socialize with the peers from alll around Europe and impressed her by the agenda with a lot of information about how to get data and process it. 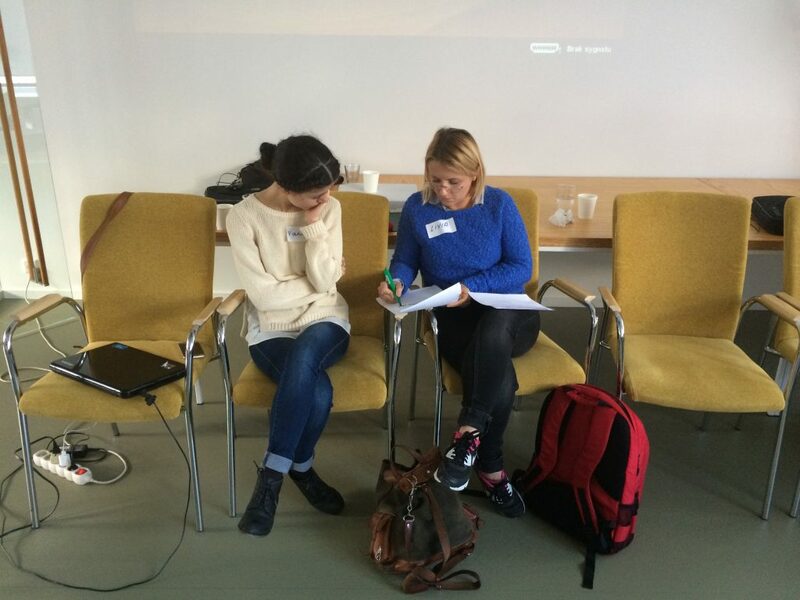 Livia Jelea from Romania (Funky Citizens) added that she was impressed by the opportunities offered by Open Refine.